"I solemnly swear that I am up to no good..."
I had the very special privilege last weekend of catching a preview of Harry Potter and The Cursed Child ahead of its official release this Sunday, 31st July. As such, I have created a SPOILER FREE summary of everything you should know before you go. Perhaps you have already got your tickets and are super excited to learn more or maybe you're not sure whether or not you can justify the hefty costs involved with attending two plays in London's West End! What is Harry Potter and The Cursed Child? Has JK Rowling written an eighth book? Harry Potter and The Cursed Child is a brand new, west-end play based on JK Rowling's existing seven Potter books. The play has been written by TV writer Jack Thorne (Skins) however, the story was also developed with the help of playwright John Tiffany and Rowling herself. The play begins during the epilogue scene of Harry Potter and The Deathly Hallows in which Harry, Ron, Hermione and Ginny bid farewell to their young children who are attending Hogwarts, 19 years after the events of the final book. So the play starts off where the movies finish? Does this mean Daniel Radcliffe will be reprising his role as Harry? I heard something about Hermione being black? This new play is completely separate from the Harry Potter films. It is a continuation of Rowling's novels so no, you won't be able to hassle Rupert Grint for an autograph at stage door! There was a lot of controversy when the cast was announced as Hermione's race in the play is different to that of Emma Watson's in the movies. As Rowling has quite rightfully stated, Hermione Granger's race is never mentioned in any of the books narrative's therefore, the character is entirely open to the interpretation of the casting team hence, Hermione in Cursed Child is portrayed by Noma Dumzweni, a black actor. ...and in case you were wondering, Noma totally rocks as Hermione! My boyfriend and I outside the theatre... very excited at this point! Why is there two parts? Do I have to go to both? In all honesty, I'm not quite sure why this play is so long but yes, you need to attend both parts. If you just go to Part 1, you'll be sent home on a serious cliffhanger and if you just attend Part 2, I'm not quite sure that you'd be able to understand what is happening! I believe that the writer's really wanted to give something to the fans, hence the need for the two parts. They wanted to provide us with a long, cohesive and satisfying narrative, jam packed with magic, twists and unexpected turns which they do deliver very successfully but trust me, after five hours sat in a theatre, you will not be comfortable, no matter how good the action is on stage! You can either attend a matinee and an evening performance in order to see the entire play in one day or, on certain weekday evenings, they just have a showing of part 1 or 2 so you can go across multiple days if you prefer. It totally depends on how far away you are from London I guess and of course, if you can await the suspense in between the two parts! Incredible. Save your pennies. But be prepared to wait in line. It is Albus Severus Potter - Harry and Ginny's youngest son. Although arguably, you could say that the title applies to several characters within the play! As a reminder, young Albus is about to enter his first year at Hogwarts School of Witchcraft and Wizardry during the 'Nineteen Years Later' epilogue in Hallows. We see Albus chat with Harry about his concern at being placed in Slytherin house before Harry reassures him and he boards the Hogwarts Express along with his brother James and cousin, Rose Granger-Weasley. This is where the play begins. Is the play suitable for children? That totally depends on the attention span and maturity level of the child in question! It's a long day. A very long day, with lots of queuing and waiting around. 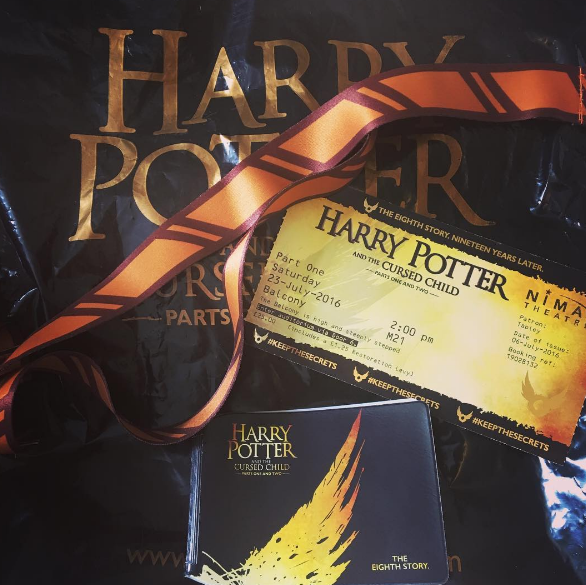 I felt very tired and hot towards the end of the 2nd part and very uncomfortable in the theatre's seat however, my engagement never faltered due to the intensity of the narrative and my excitement.. but then remember I am a 25 year old woman and a HUGE Potter fan! There are scary scenes in Cursed Child; there is death and some not so friendly characters but I'd say that if a child can deal with that creepy resurrection graveyard scene in Goblet of Fire, then the play should be no problem. Yes, there is and in my opinion, this is what makes Cursed Child different from anything I have ever seen before. 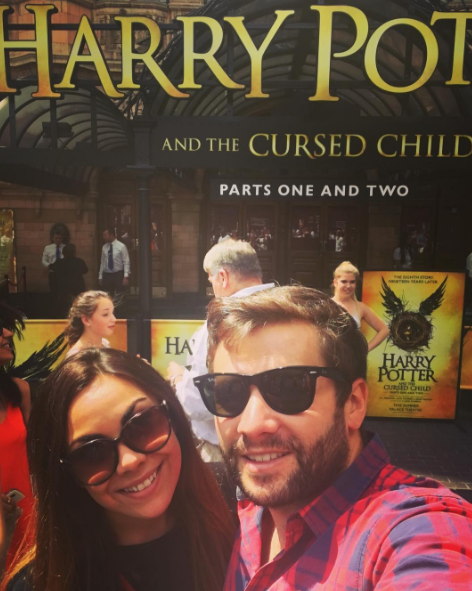 Is Neville Longbottom in the play? How about Luna Lovegood? No spoilers, sorry guys! But I can assure you that there are lots of familiar characters, places and spells within the play. It really is a wonderful addition to the world that we have all grown to love and become so familiar with. It very much fed me as a fan, and filled the void which has been brewing over the past 9 years from the absence of new Potter content. Come on, please tell us one spoiler? Just one! In my opinion, Scorpious Malfoy is potentially the best character to have ever come out of the Potter universe. If there are any more questions that you have, please let me know in the comments below and I will do my best to get back to you with an answer. Alternatively, check out the official FAQ here. 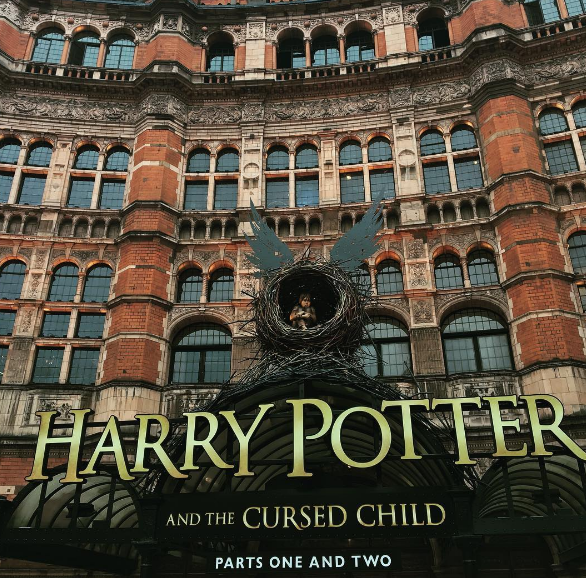 Additional tickets have also just been announced so make sure you log on to the official Cursed Child site and keep updated for their release date. What if Pokémon Go was Disney?